The biggest event of SXSW is finally starting to release some details about this years festivities. For the first time, The FADER FORT is expanding its programming to six full days, and two events. More than 30 acts will be performing at the annual FADER FORT presented by Converse including performances by Metro Boomin, Sheer Mag, Davido, N.A.A.F.I, Desiigner, and Kamaiyah. 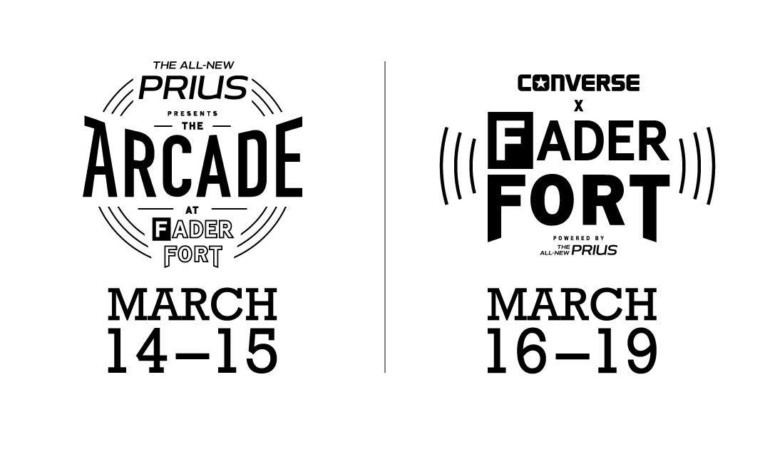 On March 14th and 15th, Toyota Prius will present The Arcade at The FADER FORT. There isn’t much info yet on what will be here, but I am sure there will be some great performances as well. The full lineup will be released on March 8th. Just like last year The FADER FORT is an invite only event. People will start receiving their invites tomorrow, March 2nd, via email. Cross your fingers and pray you get something tomorrow!